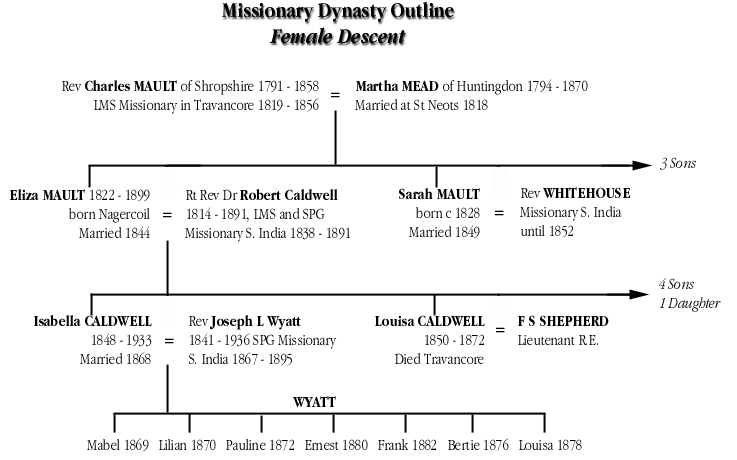 There were three generations of Christian missionaries in this 19th century dynasty, and the common strand that linked them together was the wives. The belief, commitment, strength of character and health demanded of missionaries and their families in those days is difficult to imagine in our more comfortable times. When in 1837 Robert Caldwell, on setting off from Glasgow to sail to India, kissed his mother goodbye, he knew he would never see his parents again, and that, if he survived, he was unlikely to return home for twenty years (in 1841 this was reduced to 10 years, with 7 year gaps between subsequent home leaves). In the event, it was 17 years before Caldwell took his first leave at home, while his father-in-law, Charles Mault, never returned home throughout the 35 years he worked in Travancore. The earliest of the three generations of this 'female dynasty' was led by Martha Mead from St Neots in Huntingdonshire. A formidable lady, she was reputed to be a descendant of one of the four daughters of Oliver Cromwell, the soldier and religious firebrand who deposed the King and ruled Britain in the 17th century. In 1818, she was married at St Neots aged 24 to Charles Mault from a Shropshire family. He had trained for the priesthood at the Missionary Academy, Gosport (near Portsmouth) under the auspices of the London Missionary Society (LMS) and had been ordained a week before their marriage. A month later they sailed together for India. Their voyage to Bombay lasted more than five months and, due to "the setting in of the monsoon", it was another seven months before they were able to reach Charles' mission station at Nagercoil in Travancore. The town of Nagercoil, near Cape Comorin at the southernmost end of the Indian peninsula, is on the coastal strip five miles from the sea with the mountains of the Western Ghats behind rising to 6000 feet. 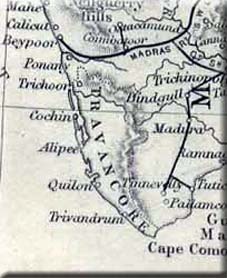 Travancore, which was then a separate state ruled by a native prince, now forms the southern part of Kerala. The review of the East India Company's Charter of 1813 had for the first time fully opened the door to India for missionaries. Before this, chaplains employed by the Company were explicitly banned from preaching to the Indians, and the entry of missionaries severely restricted. The Company's concern was that militant well-meaning Christian evangelism might so threaten some Indian cultural or religious practices, viewed as barbaric or evil in the drawing rooms of Britain, as to interfere with its vital commercial interests. So Charles and Martha Mault had arrived among an army of young men and women, "idealistic, altruistic adventurers intent on spreading the word". But it has since been suggested that the bloody Mutiny of some three decades later was in part an Indian reaction to the zealous way in which these missionaries advanced their 'alien' cause - the very effect which the East India Company had tried to prevent. The Maults progress and travails are documented in the letters they wrote to the LMS headquarters in London (correspondence now in the library of the School of Oriental & African Studies). By 1821 Charles had established the first printing press at Nagercoil while Martha had started the first of many schools for Indian girls. In the following decade Martha gave birth to five children, but in 1833 she became ill and had to return home to England for her own health, and also to settle her children at schools there with her brother as guardian. The welfare of her children became a frequent subject of letters to the LMS after her return to India in 1836. Meanwhile Mault's reports were full of the many problems that the mission was facing. But there were successes, especially with the conversion of Shanars in the Tamil areas and in 1821 accessions in the Quilon region where Malayalam is spoken. But in 1828-30 caste and Christianity came into conflict and there was some pillaging of Christian homes by Hindus when low caste converts started assuming rights which were reserved for the higher castes - the clothing of the upper body in women was one such pretext. Christian evangelistic approaches towards the capital, Trivandrum, were rebuffed as being too near the sacred pagoda, although by 1838 the Hindus had relented. Mault generally managed to end his reports on an optimistic note. Extracts from that of 6th Jan 1829 to LMS headquarters in London are at Annex A. In 1843-44 and again a year later, South Travancore was beset by cholera. Charles was suffering exhaustion as a result, and Martha pointed out to the LMS that "it is five years since my husband had permission to go to England on leave but he is still awaiting a replacement". The plea went unanswered, and was forgotten because in 1851 Charles rashly wrote, "After 31 years in this country, I thank God that my good health continues. I was never more able to carry out my duties than now". A year later his long-time missionary partner, Rev Charles Mead, resigned. Mead had three times lost a wife to disease in Travancore and then married the daughter of an Indian poet. It left the sixty year old veteran missionary with a much increased work-load. Mead was replaced by C. Leitch the following year, but in 1854 Charles Mault's health finally broke down. He and Martha were forced to return home and retire, settling at Stoke near Coventry. One of the achievements of Charles Mault's 35 year ministry in Travancore was in the growth of female education. This was despite the natural prejudices of much of the population that girls were too valuable in the home to attend school and no purpose was served in educating them. This attitude and the whole subject of female welfare became primarily Martha's work from the moment they reached Nagercoil in December 1819. Little more than a year later, helped by contributions from church 'friends' at home, she had established the first girls' boarding school in South India. Within it was a lace-making class. Martha herself had brought with her from England the equipment and the special thread needed for making lace, having learned the techniques at home in St Neots. Her school primarily taught reading and writing through religious study, plus some basic arithmetic and geography. At an appropriate stage, girls were taught lace-making (or later a similar saleable industrial technique like embroidery) which provided them with the means of earning money, and hence gave both them and their families a sense of their worth. To some unfortunate girls, who were virtual slaves, it gave the means of buying their freedom. "Many of these children are orphans without a friend to care for them who, but for this asylum [the school], would be left to perish in ignorance, vice and wretchedness - such a child is pitiable beyond expression. Moreover not a few of these girls are slaves ...We teach them in preference to others to make lace, and as soon as their earnings amount to more than their support, a portion of their work is reserved for the purchase of their liberty." From Martha's letter to the LMS headquarters, 26 Austin Friars, London; dated 2nd June 1830. So Martha's 'industrial' class provided one way out of the servitude and exploitation into which many Indian women were then born. Yet progress in overcoming the prejudice against female education was at first very slow and exacerbated by problems of caste. But by 1830 Martha reported, "we were determined to persevere ...and were permitted to realize our hopes, for as the improvement of the children began to manifest itself, ...those who formerly opposed, now in some instances become friends to the object". And so it grew. Eventually lace-making was providing employment for thousands of women and especially widows. "The lace industry started by the missionaries grew to large proportions and continues to this day, making available most beautiful hand-made lace that will rival any made in the world" - Hatch EG, "Travancore: A Guide Book for Visitors" (OUP 1933). In 1841, when Martha's daughters Eliza and Sarah, both fluent in colloquial Tamil, were working full time with her, she reported the girls' boarding school at Nagercoil to be virtually full with 94 children. Thirty of them were entirely dependent on resources provided by friends in England. Martha and Charles had also established 26 village day-schools for girls in both Christian and heathen communities in the district. Half these new schools had female teachers who Martha had recruited to avoid the previously accepted situation that all teaching should be done by men. The Maults had three sons, two became doctors in England and the third an artist. 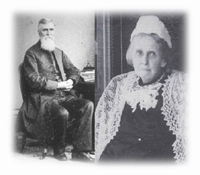 Their two daughters both married missionaries in the adjoining state of Madras. Sarah married JO Whitehouse in 1849, but three years later his ill-health (due to neuralgia) drove them back to England's temperate climate. Her elder sister, Eliza, married Robert Caldwell in 1844 joining him at his mission station, Idaiyangudi, forty miles away from her home at Nagercoil. Robert Caldwell was a Scot, born near Belfast in Ireland, and brought up in a Presbyterian home in which he was the seventh child. His father, William, was a calico printer and his mother, Isabella Hamilton, was from a Glasgow family with strong religious and commercial connections in that city. Robert's siblings included four spinster sisters and two surviving brothers, both of whom eventually established successful businesses in Glasgow. He trained as an artist for three years in Dublin, where he attended an Independent chapel and was exposed to the piety of the Church of Ireland. Despite some success with his painting, he gave up that career "to give myself to God". Returning to his family home in Glasgow, he worked with the Congregationalists and, on acceptance by the LMS, studied at the University of Glasgow. He proved to be a brilliant student, winning a half share of the Robert Peel prize for graduating top of his year, and developing a deep interest in 'comparative philology' through Sir Daniel Sandford, his Greek tutor. He was ordained as a non-conformist minister at his church in Glasgow and, after four months at sea, arrived at Madras in January 1838. This was only five years after the East India Company had agreed to relax its prohibition on Christian evangelism. The Company had fought long and hard to keep the missionaries out of the parts of India it controlled for fear of upsetting the delicate relationship between its Hindu and Islamic subjects. Considering the tensions that led up to the Indian Mutiny in 1857, its judgement was not far wrong. Furthermore, in India, British missionaries had to face the severe disadvantage that Christianity was not only regarded as an alien religion but was also identified with the rule of a foreign power. Yet the field for evangelism was a large one: In August 1844, the Bishop of Madras wrote to London noting that the Madras Presidency then had "about fifty missionary clergymen of the Church of England, and about fifty millions of heathen". Caldwell had always been a voracious reader, remembered what he read and had an extraordinary gift for language. His memory for the etymology of words was compendious. In Madras he not only learned Tamil but was so attracted by the beauty of the language that he also explored its rich literature and poetry. In the process he became familiar with many of the other languages of the region. He even learned German so that he could study the work of Christian Schwartz, Charles Rhenius and other past Lutheran missionaries of South India. After four years working in Madras he transferred from the LMS to the (Anglican) Society for the Propagation of the Gospel (SPG). Like those early German missionaries, he felt he could do most good by ministering not to the privileged higher castes in the towns and European settlements but to the poorest and most isolated rural communities. In his case this was in the SPG's southernmost District of Madras, Tirunelveli, then referred to as 'Tinnevelly', the anglicised spelling. On his way south Caldwell decided to travel on foot "to get acquainted with the people and their ideas, manners, and to talk in a way in which I could never expect to do if I travelled in a palanquin or even a cart" - the normal European conveyances. His journey took him first to the Nilgiri Hills to visit George Spencer, the Bishop of Madras, where he was made a Deacon. He then travelled on to Madurai, Tirunelveli and finally to his mission station at Idaiyangudi, three miles from the sea and some thirty miles east of Cape Comorin, the southern tip of India. His district with a population of some 27,000 extended fifteen miles along the coast and between two to six miles inland. He arrived there in December 1841 having covered over 800 miles on foot since leaving Madras, walking in the morning and evening, and for the last part of the journey during the rainy season. This was a man who in Scotland had been told by his doctor in 1834 that he was "unlikely to be ever able to bear the trials of a tropical climate"! Two of his elder brothers had died of tuberculosis so it is possible that the sea voyage and change of climate actually saved his life. "In consequence of their degraded condition, the females of the district had no desire for improvement, nor had they any wish for the education of their children ...They were not only extremely ignorant but filthy in their habits, rude in their manners, and quarrelsome. If this was the state of the Christian females who, though long neglected, were in every respect superior to the heathen, it may be imagined how very low the heathen women were sunk." From Eliza's letter to Rev. 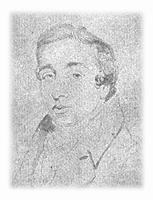 Vincent Shortland, Secretary to the Madras Diocesan Committee (SPG); dated 14th July 1845. Soon after her arrival at Idaiyangudi, Eliza expanded the girls' day school (set up by her husband) into a boarding school and, with it, also took over control of the existing boys boarding school. "The boarding school is the stronghold of a mission, from it comes forth the educated members of the congregation, the schoolmasters and mistresses, the catechists, the native clergy and the best counsellors." - Rev. D. Vedamuthu (native Tirunelveli clergyman 1866-92). It was the beginning of a long campaign which Eliza and Robert waged to improve the prospects of native girls, and through them convince their families of the value of education. Much of the financial support for this depended on their personal reputations at home, as it came direct from private donors in England, as well as from SPG, SPCK and other sources in India. Their campaign continued unabated in the following years while Eliza gave birth to four sons and three daughters. Indeed, by the 1860s, her two elder daughters, Isabella and Louisa, were working alongside their mother in superintending the boarding and day schools that she and Robert had by then set up. A missionary in the field in rural Tirunelveli faced many adversities. There was the pressure of the climate ("we have neither of the extremes of heat and cold but simmer as it were over a slow fire the whole year round"), and that of a large population. He had to walk many miles on sandy tracks under the sun to reach his people. Most of them were grindingly poor, being dependant almost entirely on the products of the Palmyra tree, and many lived in ignorance and were often enslaved by superstition and idolatry. Widespread famine, flood and virulent epidemics were occasional visitors. In July 1877 a severe drought caused famine in Tirunelveli and Ramnad; then just as it was subsiding the same districts were struck by heavy rain and destructive floods. This whole disaster lasted for seven months. Caldwell and his missionaries were seen on the ground throughout this terrible time helping to relieve distress without favouring any religion or caste. One surprising after-affect of this help to the sufferers without distinction was a prolonged increase in the 'accessions' to Christianity after the floods had subsided. Critics referred to these newcomers as 'rice Christians', although only a small proportion of them actually reverted back to heathenism. SPG accessions up to January 1878 numbered 16,000 and by the following November had reached 22,000. During these events a missionary's strength, as well as his resources, could be rapidly overwhelmed. They needed more "muscular Christians"! The shortage of suitable missionaries together with the difficulties of their family life and the education of their children were live issues throughout the correspondence from India. "We require men who can do work on a large scale", but many either fail, get sick or die in post. In January 1880, Caldwell described Arthur Margöschis as "a very useful little man but unfortunately such a victim to asthma that you cannot expect from him anything but the work of a station". Caldwell's own health was sometimes of concern. A colleague of his wrote that "few Englishmen could walk great distances in the tropical heat as he did". Although he suffered from various bouts of illness throughout his life (once getting sunstroke from travelling on an open-topped bus during his first return to England), he had great powers of recuperation. "When an old man, he would be found almost too feeble to speak, then in a day or two he would be heard preaching in a clear firm voice or seen travelling about the Western Ghauts to Tuticorin, and from Ramnad to Cape Comorin". From the start, Caldwell was at one with the Tamils and their thought processes. They valued highly his Tamil sermons propounding the simple truths, and eventually came to look on him as their patriarch. The strict system of evangelism he adopted seemed to suit the Shanars who were the majority caste in Tirunelveli. The Shanars are simple, hardworking and frugal. They have a strong loyalty to their 'race' and are remarkably biddable. Thus, when a village chief gives up demon worship, the whole village together will follow him. Caldwell's method was to use the old existing village hierarchical structure to raise congregations, establish a pattern for Christian villages based on the model at his mission at Idaiyangudi, and to build churches. At the same time, despite opposition from the Madras committee of the SPG, he set up committees and other structures to encourage the development of independence within the native church including the raising of their own funds. The erection of the large Gothic church ('Holy Trinity'), which he built at Idaiyangudi, kept pace with the progress of his evangelism - it took him 33 years to complete. At the same time, many small 'daughter' churches were built in the district, most from money contributed locally by the villagers themselves (by 1873 there was said to be about forty of them). In the words of his obituary, Caldwell "had seen the Christians in Tirunelveli increase from 6,000 to 100,000" in the district which is today the southernmost diocese of the Church of South India. Few of these accessions, however, came from the Hindus and higher castes despite his efforts towards them. Caldwell lived his life for his flock, bringing to bear all his great intellectual and spiritual powers on their behalf, identifying himself with their concerns. As he once wrote, "my residence in India for by far the larger portion of my life, and the deep interest I have always taken in India and everything Indian makes me more an Indian than anything else". An illustration of the charismatic effect he had was at the consecration in 1880 of Holy Trinity church at Idaiyangudi of which he was the architect. With space in the church for only 3000, it was attended by nearly 9,000 natives of whom 7,000 were Christians and nearly 2000 Hindus. That there were 35 native clergymen present reflected the efforts Caldwell had made towards the indigenous future of the church. One of Caldwell's aims was to plant a tree a day during his lifetime. When in 1980 the centenary of Holy Trinity church was celebrated, it was written that "the rare trees that today adorn the big parsonage and the church campus bear witness to his love of trees ... our Caldwell prepared salais (roads) with shade-giving banyans on both sides as a means of carrying the message of peace ... to each nook and corner of his bishopric". Rev John Sharrock of Jesus College Cambridge, a close colleague, commented that Caldwell "was trained on narrow, not to say puritanical, lines" and "had not a note of music in his composition". For example, he disapproved of some who capered to the music of a French fiddler on his first voyage to India. This fastidiousness lessened with time. Indeed Caldwell turned out to be a teller "of racy stories - especially Scotch ones told in the broadest Scotch". He also had "the charm of an old-fashioned gentleman. A most delightful companion and entertaining conversationalist, yet he had no time for the frothy tittle-tattle of an Indian station". Described as "a man of deep piety, gentle and humble in his ways", yet he was a strong debater especially on theological issues. In Madras he tried to stay aloof from what are referred to as "party" conflicts - that is arguments between the clergy of various church factions. In Tirunelveli he had little time for such wrangling. 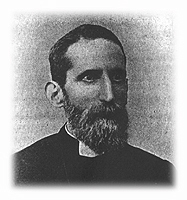 But in the end he was unable to avoid the growing pressure from those who saw his background in the Nonconformist evangelical tradition as a challenge to the new High Church doctrines of the Oxford Movement, some of whose practices were already being imposed under protest on Indian congregations. The increasing strife between missionaries, and between those in Madras and distant missions in the field, was to blight Caldwell's episcopate. Caldwell's intellect, wit and facility with words gave extraordinary power to his pen. Even in dated Victorian English, his words can impress a reader today despite the prolixity (an example from 1885 of Caldwell's plea to the SPG for tolerance in dealing with the quick-tempered but valuable missionary headmaster of Caldwell College who they were intent on dismissing, is at Annex B). He was the author of many works (listed to the side) and reviser of the Tamil Bible, Prayer and Hymn Books. His books on Dravidian languages, history and the ancient civilisation of the peoples of South India, to which he devoted much of his life, were described as "one of the monumental works of the age" and lifted him to European fame as a scholar. Today one still finds evidence of his tireless research work. He even went through palm leaf manuscripts and sangam literature in his search of the past. From such sources he concluded that Pazhayakayal, now a hamlet on the coast near the estuary of the River Tamaraparani, had been the once flourishing seaport of the Pandya Kings. He obtained government permission to excavate, and found the foundations of ancient buildings, sepulchral urns, polished and artistically shaped earthenware vessels, and coins with the Pandya fish emblem. His finds were in Korkai museum until 2002 when it had to close as part of 'austerity measures' [Tirunelveli Hindu Newspaper 9 July 2002]. All this historical work by Caldwell eventually bore fruit in his masterpiece, "A Political & General History of the District of Tinnevelly from earliest times to 1801", which was sponsored by the Madras government. Caldwell's interest in and facility with languages spawned what many consider was his major contribution to the region in which he served. He succeeded in establishing the link between the languages of the various peoples of the area. Tamil, he found, was the most cultivated and a much older language than was thought as it could stand alone and flourish without its Sanskrit terms. This research combined with his historical work showed there was a common cultural heritage among those who spoke what he termed the "Dravidian" languages, thereafter also referred to as the 'South-Indian family of languages'. 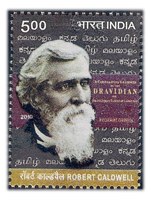 Caldwell then wrote the ground-breaking 'Comparative Grammar' of the Dravidian Group (1856 & revised 1875), which was at the time described as "a revelation" to Indian and Western scholars. All this literary effort had unforeseen effects. It helped to give a linguistic and cultural identity to the lower castes and Tamils in particular which they were quick to embrace. It brought thousands into the Christian church giving them access to education, and has grown over the intervening years to raise the status of many lower caste Christians in South India. In effect, Caldwell launched a Dravidian movement, but it was much broader than he can ever have envisaged. Now widely known as "the Tamil Renaissance", it has had a profound effect across all faiths of this region. In this transformation, Caldwell's role as "a pioneer Dravidian linguist" was acknowledged in 1968 when his statue was among eight erected on the Marina Beach at Chennai (Madras). Today he is still discussed by many who were simply the beneficiaries of the Tamil revival and the Non-Brahmin movement as a whole to which he was an important stimulus. One wonders how Caldwell found the time to pursue his literary studies. In his journal he describes a punishing schedule. The bulk of this work was done on the long voyages of four months round the Cape or when staying in the Ashambu Hills or at Kodaikanal in the Palanis where he went in the hot season or to regain his health. On these occasions he invariably worked for six hours a day (excepting Sunday). Even while doing missionary work around the villages he was generally but not always able to devote two hours a day to his books. 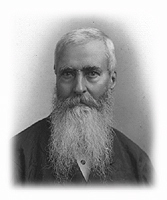 At Calcutta in March 1877 after nearly forty years in India and at the age of 63, Caldwell was consecrated as bishop. 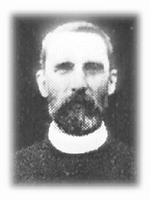 It had long been felt that Tirunelveli should have a bishop of its own and in many ways Caldwell had, together with Rev Dr Edward Sargent of the Church Missionary Society (CMS), carried out the coordinating function in their large districts with help from their societies in Madras. reputation and influence in England and the financial support he attracted direct from there, much of it going to Eliza's schools". 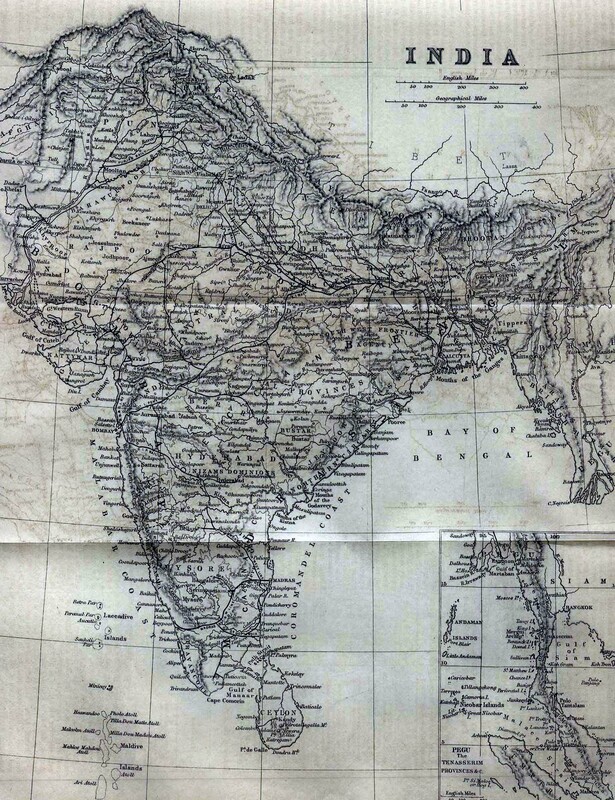 Kumaradoss, Y Vincent, "Robert Caldwell: a scholar-missionary in colonial South India", ISPCK 2007. In 1883 Caldwell moved his base from Idaiyangudi village to the town of Tuticorin on the coast to improve communications. This was a major operation involving the redisposition of schools and other facilities, but it gave the bishop better access to the district as a whole. Although slightly closer to Madras, he was still 444 miles away by road or 30 hours by mail. "I am worried about further annoyances caused to me when Mr Sharrock returns from leave. Before he left he circulated an address charging me with making misleading statements..." "Rev Vickers has reported me to the Bishop for promulgating slanders against him..." Extracts from two letters by Rev Margöschis to Rev HW Tucker, Secretary SPG London, dated 7th Oct 1890 and 8th June 1891 respectively. To face the antagonism, Caldwell, despite his advancing years, had to draw on all his old fighting spirit, but relying heavily on the strength of Eliza's support too. On two occasions, he successfully appealed direct to the President of the SPG (Edward Benson, the Archbishop of Canterbury) to have a committee decision overturned. In November 1887, two years after his plea for tolerance in dealing with the irascible John Sharrock (Annex B), the MDC, in the absence of Dr Frederick Gell, the Bishop of Madras, and behind Caldwell's back, succeeded in getting the SPG Standing Committee in London to dismiss Sharrock, giving him just three months notice. Caldwell appealed again to the SPG President, Sharrock's notice was extended and in February 1888 the dismissal was rescinded - a mark of Caldwell's reputation in England. Sadly this was just one of the frequent skirmishes in an internecine 'war' that was to continue until Caldwell's death. By that time the MDC had almost succeeded in closing Caldwell College by withdrawing its funding in favour of Margöschis' new High School at Nazareth. They had established the latter in direct competition with the College. They also withdrew recognition from Eliza Caldwell's long-standing Female College at Tuticorin on the grounds that it was technically 'new' and unapproved. Eliza's letter in response to this resolution by the MDC is at Annex C.
Appeals were made to the SPG President about this ruling and the whole role of the MDC. This caused the Archbishop in December 1887 to advise the SPG Standing Committee to call the MDC to order to bring the organisation abroad up to date so that proper account is taken of the views of bishops and others working at some distance in the field. His final remark was "the very inadequate construction of the Council is clearly illustrated in what has passed". "I am persuaded that the interests of the Society are affected by an organisation of which the defective theory does not seem to be now justified by practical convenience or success." 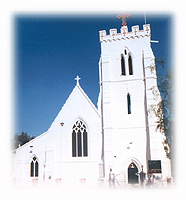 "That ...in 1896 [five years after Caldwell's death] it was possible for Tirunelveli to become, by contemporary standards, a properly-constituted Anglican diocese, is a measure of the reactionary, negative and misguided character of the opposition Caldwell faced, and a measure, too, of the soundness of his own vision and aspirations". 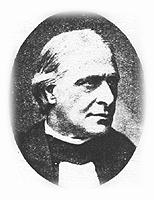 Kumaradoss, Y Vincent, "Robert Caldwell: a scholar-missionary in colonial South India", ISPCK 2007. The correspondence over this period gives a glimpse of the in-fighting between these pious people, enough to make the Angels weep. To those who knew him best, Caldwell had strong views and a great dread of ritualism, but "was without exception the most tolerant man, and the most easy to work with. In controversy he often became excited but was never guilty of a breach of charity, and was ever ready for the fullest reconciliation and friendship" and did not deserve the treatment he received from the High Church hounds of the Oxford Movement. Now, looking back over more than a century, these irritants to Caldwell's work during his last days seem insignificant in the light of his achievements. His life story and saintly qualities are still remembered, and the influence of his name and the schools that he and his wife founded echo today in the lives of the men and women of South India whatever their faith. In 2010 the government of Tamil Nadu paid this 19th century 'foreign' missionary the considerable compliment of issuing a postage stamp in his memory. At the end of his last visit to England when friends tried to persuade the old missionary to remain at home, his reply illustrates his affection for the people of Tamilnad: "I wish to die amongst the people for whom I have lived", and in 1891 after half a century of labour, his wish was fulfilled. "Excelling as a Scholar and Philologist, intimately acquainted with the Tamil people, their history, language and customs, a ready and elegant Writer, he attained a wide reputation, bringing honour thereby to the Missionary's calling, and strengthening the cause of Missions in the Church at home. But all his attainments and fame did not divert him from his great purpose and the simplicity of his Missionary life. He continued to be an earnest, sympathizing, vigilant watcher of souls. By his Apostolic labours and example, he trained many native agents, brought thousands of heathen into the Church of Christ, raised the character and status not of the Christians only, but also of those without the Church, and won their attachment and reverence." Joseph Wyatt's birth at Bishopsworth in 1841 was surely an omen, foreshadowing the important role he was later to play as acolyte to a great bishop. Wyatt's name still resounds in Tirunelveli along with that of Robert Caldwell, his mentor, father-in-law and later his bishop. In 1894, three years after Caldwell's death, Wyatt edited and published the bishop's "Reminiscences", a small book which has remained the primary source in English on Caldwell's life and work in this poor and isolated corner of India. That is until now, more than a century later, with the arrival this year of Vincent Kumaradoss' scholarly biography. Wyatt was the second oldest of seven brothers and two sisters, the family of Joseph and Martha Wyatt, tenant farmers of 65 acres at Home Farm, Kings Head Lane in Bishopsworth (today a suburb of Bristol). He received his training at St Augustin's College, Canterbury, and came out to South India as an SPG missionary in 1867 aged 26. He went to Idaiyangudi to be the assistant to Caldwell, who was then exactly twice his age. The following year Wyatt married Caldwell's eldest daughter Isabella, who was working with her sister Louisa in their mother's mission schools. Wyatt remained at Idaiyangudi for ten years during which Isabella bore three daughters, Mabel, Lilian and Pauline. With his sharp intellect and powers of organisation he was an ideal foil to his colleague and made a huge contribution to the work of the mission especially in the practicalities of developing the model village and the raising of funds. He not only took full charge of the mission when Caldwell was in England in 1873-5, but also had his two older daughters to look after while Isabella returned home with baby Pauline and her father. Wyatt went on his first home leave when Caldwell returned from his consecration as bishop in Calcutta, and he missed the terrible famine and floods of 1877-78 in Tirunelveli and the large accession to Christianity which followed it. His 'leave' in England was spent, as was usual, working and speaking for the SPG. On his return in 1879, he found himself drawn into the disputation between his father-in-law and the MDC. 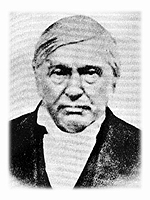 Caldwell, the founder of Caldwell College had recommended him to be the new headmaster. However, Wyatt found that this had been changed by the MDC in his absence and without consulting Caldwell, and that he had been replaced at the College by John Sharrock, and instead was going to be missionary-in-charge at Tiruchirappalli (then known as Trichinopoly or 'Trichy' for short). Trichy is a busy town about 200 miles north of Idaiyangudi. It is famous for its great Vishnu temple which stands on a large island in the river Cauvery. The temple with walls four miles in circumference sheltered 20,000 Brahman inhabitants and was second only to Benares as the most sacred place for Hindus. Trichy had, more than two centuries before, been a stronghold of the Roman Catholics, and the Lutheran, Christian Schwartz, had worked there in the 1770s. It had two churches, the Garrison church of St John and Schwartz's Christchurch. 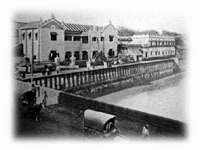 The district had been transferred to the SPG in 1825, and that society's major contribution was the establishment, despite Jesuit opposition, of a High School in 1864. The school was successful due to the quality of its secular teaching and its acceptance by the majority Hindu population, some of them becoming its benefactors. Ten years later it became a College, and when Wyatt arrived it had been raised to the first grade offering university degrees. There were then a thousand students, of whom the majority were Brahmins. Despite this preponderance, it was considered that the College was usefully exerting Christian moral and religious influence among high caste Hindus. For Wyatt it was a very different environment to that he had left at Idaiyangudi: "As I looked down on the crowded houses and the seething multitudes that filled the streets of the town, and then on the surrounding countryside including that beautiful island of Srirangam with its enormous Vishnu temple visited yearly by hundreds of thousands of pilgrims, my heart seemed to sink at the magnitude of the work which lay before me." Apart from the College, little more than Christian pastoral work had been possible in the district. Elementary education among the rural population was almost non-existent. "There is much stagnation among the older Christians, many of whom were received in former times from the Roman Catholics". Little evangelistic work had been attempted for many years and in 1894 the Church had adherents in only 32 of the 3000 villages and hamlets in the district. Even the vigorous efforts made by Wyatt's 1895 successor, John Sharrock, who in a year visited 600 villages, treated 4000 medical patients and preached the Gospel to 8000, made little apparent headway. "Often the evangelistic band are stoned and otherwise ill-treated. They see little fruit from their labours but have faith enough to wait". Wyatt and Isabella established themselves at Worior near the native portion of the town and began by opening a girls boarding school with combined industrial (lace-making) class, and several separate schools for the higher classes of Hindu girls for whom nothing had hitherto been done. With no suitable teachers being available in the district, they obtained volunteers from among their old Tirunelveli pupils. A year later they opened the first SPG training institution for female teachers in the Madras Presidency. A boarding school for boys was opened, and then girls day schools in both town and countryside. They had bible-women attached to each of the town schools who also went out to teach the women in the neighbourhood, and ex-pupils of the schools in their homes. Their progress at Trichy was acknowledged by one experienced clergyman who remarked, ambivalently, that female education here is "in itself a grand work, even if there were nothing else being done". Sad to say even this progress was later checked in 1897-98 "due to the organised opposition of the Brahmans who opened rival schools". This was the tactic used in 1893 by the SPG committee in Madras to close Caldwell College, an establishment of the first grade like the SPG College in Trichy. Wyatt, following Caldwell's pattern, raised money to build a church ("All Saints") at Worior. It took him four years, completing it in 1895. The long separations that occurred between a missionary wife and her children, generally when they were being educated in England, sometimes became an issue. So it was with Isabella whose two sons, Ernest and Frank were born at Trichy in the early 1880s. In 1893 when the boys, who she had not seen for five years, were having problems at school, she took the first boat home. Extracts from her letter asking the SPG for a refund of her fare, even though they were not due for leave for another two years, is at Annex E. It highlights the difficult conflict between the demands of family and the importance of the wife's 'honorary' work. Isabella lists hers in her letter. At the time she had six children aged between 13 and 26. These separations were undoubtedly a factor two years later in 1895 when her husband finally left Trichy to return home, where he resigned from the SPG - the last missionary of the dynasty. He then became a lecturer in Tamil at Cambridge, and in 1899 went to Brandon, Suffolk, and was their Rector for 18 years. He was buried there in 1936 aged 95. The very different circumstances and difficulties that Wyatt faced in Trichy from those in Tirunelveli makes one wary of drawing general conclusions about the results and effectiveness of this three-generation missionary dynasty. It is said that by 1947 after a hundred years of unrestricted missionary effort in India as a whole, Christianity had made little headway with the masses. And for the most part the new Christians were drawn from marginal groups - the lower castes, hill tribes, anglo-indians. Certainly the large accessions to Christianity made by Caldwell, Wyatt and their colleagues were primarily among the lower castes of Tirunelveli, and the Shanars in particular. Yet it was not each accession itself but the elementary education and the encouragement to benefit from it that proved to be important. This was marvellously enhanced by Caldwell's work on local languages and history, which helped give the self-confidence and cohesion that stimulated the Tamil revival and the Non-Brahmin movement that followed. CF Pascoe describes the situation in 1900 as this revival was gathering momentum, and the vital role played by education, and female education in particular (Annex F). Today Tirunelveli is a thriving diocese of the Church of South India. Much of the organisation that Caldwell put in place, despite the disruptive tactics of the SPG in Madras, will have contributed to this. The Caldwell name is still remembered by the students and teachers at the schools which he and Eliza founded, and by the many Christian descendants of those he taught, baptised and ordained. But it was the wives who were clearly the backbone of this dynasty - from Martha Mault to Eliza and Sarah, and finally to Isabella - they set up homes and managed their large families between two continents, and quietly worked with extraordinary devotion for the education of native children, and in particular for the encouragement and well-being of young Indian women. That was more than a century ago, but even in a report on skills training in the late 1960s which included Nagercoil an echo of their work still remains: "a flourishing lace-making and embroidery industry is still going on here, but reduced from the past when it involved thousands of women". by Appasamy, Paul (Judge, Madras City), Palamcottah Press 1923. Candidate Papers: Charles Mault 1818-42 & Robert Caldwell 1833-42. Travancore & Ceylon Correspondence 1817-99: Rev & Mrs Charles Mault 1825-54.
by Muller, DS George, & Abraham, Rev V Joseph, Tirunelveli Diocesan Council 1964.
by O'Connor, Rev Dr Daniel (Ed), Continuum 2000. Society for the Propagation of the Gospel (SPG) Records at Rhodes House Library, Oxford:- Madras Letters Received: Caldwell & Wyatt - Shelfmark CLR 46-54 (Dec 1841-Dec 1899). by Suganthary, D, The Sunday Standard 1968.
by Western, Rt Rev FJ (Bishop of Tirunelveli, SPCK, Madras 1937.
by Wyatt, Rev JL (Ed), Addison & Co, Madras 1894. (a series of five letters, the first appearing in the Annual Report of the Madras Diocesan Committee for 1877-78). PO Box 49, 129 Broadway, Didcot, Oxon OX11 8XA Tel: 01235-517700. (UK) 7 Deepdene, Haslemere, Surrey, GU27 1RE, England.